I am a Psychology and German major in the College of Arts and Letters. I am in the a cappella group Harmonia on campus, and I am also the SUB representative for my dorm, Howard Hall. I tutor with ASSA as my employment. I was on the Deans List my first semester here. I have traveled to 13 countries and three continents in my lifetime, and this summer will mark my third trip to Germany, although my first time to Baden-Wuerttemberg. I also enjoy playing a range of sports and playing musical instruments in my free time. I also dedicate my time to community service work, at school and when I’m home. This grant is a huge step in my academic life. I have been studying the German language since I was in 7th grade, so this summer marks the end of my seventh year of studying German. Because of the close interaction German has, and has had, with Psychology and research, improving my German and my understanding of the culture with first-hand experience will only help my studies in Psychology, and it will obviously improve my proficiency and fluency in German. At this point, I am looking at post-undergraduate options that may lead to studying in Germany with respect to Psychology, and using this grant to travel to Freiburg is a wonderful first step. I hope to improve my German and my vocabulary, but I mostly want to be able to experience what Germany is like (e.g. culture) and to be comfortable speaking with locals. One can be comfortable talking with one who is at the same level as you in a foreign language, but it takes courage and perseverance to make the effort to talk to people who actually are superior in their knowledge of the language. And I hope that this experience brings me to the point where German becomes second nature and something that becomes as unconscious as English. I also hope to make connections with students and residents from Germany and other parts of the world. The experience is as much academic as it is social, because what is language without other people to share it with? At the end of the summer, I will be able to speak with accurate inflection and accent in German. By the end of the summer, I will be able to communicate in depth, in German, with local Germans, what exactly is going on in the political environment and how it will effect the global political realm. By the end of the summer, I will be at the point where my writing and speaking will be only affected by minor flaws, and my speaking will be unconscious, yet logical and intelligently formed; essentially, I will be more than proficiently fluent. 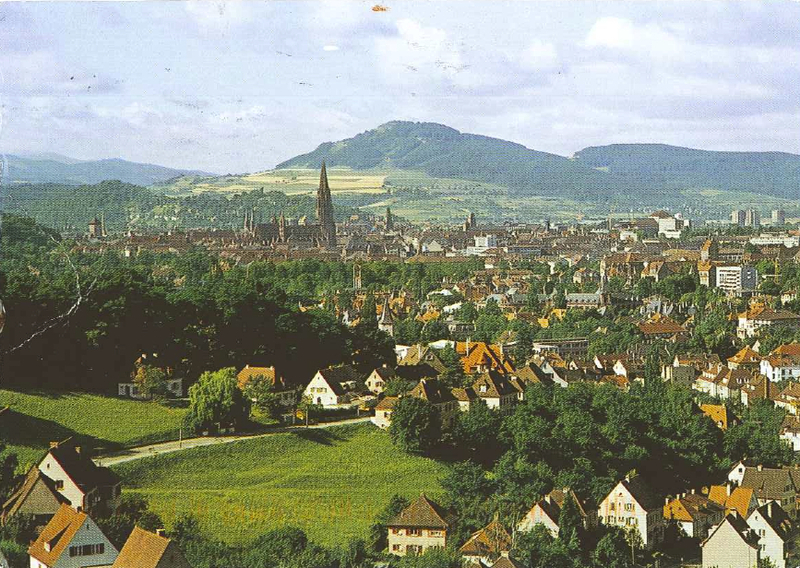 Because of Freiburg’s size, I will receive the benefit of the rich history of the town; it allows me get to know the architecture of Germany, like seeing the Martinstor, Freiburg MÃ¼nster, and other historical monuments. The Goethe Institut in Freiburg gives me the chance to not only take an intensive German course for four weeks, but it also provides opportunities to be immersed in the culture of the city and effectively use the skills learned in the classroom in everyday life. 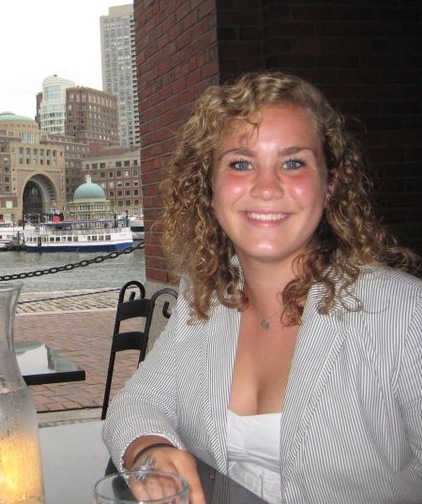 The cost of the course includes trips to museums, historical sites, city tours, and even visits to local hangouts, like pubs and discos, called “encounter evenings,” meant to bridge the gap between the students and the locals. There are also opportunities for one to travel on their own, and because Switzerland and France are so close, I intend to visit both countries while in Germany. In being in both a city and cultural center, Freiburg would both maximize my German language development and cultural immersion. The first week here in Freiburg has been nothing but amazing! My first few days here were a little rocky, as I had a long stretch of travel, and was quite jet-lagged. But once I got settled in and started to use my German around the city, I felt a little more comfortable with everything. The first day at the Institute was a test day, where we had to give a writing sample, take a multiple choice test, and take part in an interview. I was placed into a middle level class, and after the week went by, was recommended to move up, which I have since done. The classes last 3 hours and 45 minutes, with breaks that make the block out to be 4 hours and 30 minutes. The class is a lot of speaking and discussion, and there are people from countries ranging from Spain to Japan, and it’s really great to come together and put all of our German skills together to learn from not only the teacher but also from each other. The class is pretty intimate, which adds to the learning experience. Outside of the class, I have participated in many excursions around the city, like hiking the Schlossberg trail, walking through the city, and taking day trips to the Bodensee (Lake Constance), and even Zuerich to see the “Tempest” in German. There are also many opportunities to get to know the people living in the apartments here at the Institute. I have encountered and befriended people from all corners of the earth, and it adds to the cultural experience, as it reaches outside the realm of just learning German. There’s a lot here for students to do on the weekend and week nights, as it is a university city, and that gives me the chance to interact on a colloquial level and to use my German in an informal sense. So far I’ve made a lot of progress in my overall German knowledge and I am excited to see where it leads. Bis bald! Two weeks in and I can’t even believe it! This past week has been a whirlwind, but I wouldn’t have it any other way. This week I took the time to really get to know Freiburg. I took a tour of the Freiburger Meunster (which may or may not have lasted WAY longer than I wanted…), which is the famous cathedral here in the city. There’s a lot of history, as it was built in 1200, and was opened in 1300. I would tell you the history, but that would imply that I actually was completely listening… BUT! It was a very beautiful church and i caught on to some of the stories that went into the stained glass windows and the statues around the front of the church. After 2.5 hours, I’m pretty much an expert though . I also made my way over to the Saturday open market over by the Muenster, where craft-makers, butchers, dairy farmers, etc. set up shop to sell to the locals. I wanted to interact with the locals (AKA I wanted to talk to more than just the guy who give me my croissant and “Milchkaffee” every morning ), so a few of us from the Institute took the time to walk over and get some fresh food! It was great, because, as I’ve been realizing, the locals really are friendly enough to make the effort to help someone who doesn’t speak their language fluently. It’s also nice getting the compliments on how good the locals think my German is. Aside from those two experiences, I also had another authentic opportunity to get to know German culture: Fussball. This whole month is the EuroCup, so everyone here, whether Germany is playing or not, is out essentially every night (after homework has been completed obviously) to watch a game. Since Wednesday, I have seen Germany, Spain and England win their respective games. But the Germany game was insanity here. Just seeing how exited they get is totally foreign to me (pun intended). We have nothing like this national pride for one specific team. The olympics don’t really count because in the way of American pride in the olympics, we just want all the Americans to win, but don’t necessarily watch all events. But here, the soccer is something EVERYONE watches and follows quite closely. I have yet to see people in the US come together and be so enthusiastic about a specific sport, and their county in general. Classes have been going well and I’m really learning a lot (I think I have to say that). But in all seriousness, the classes are more than I could ask for and the teachers are exactly what I need. I have since signed up to take a Certificate exam for B1, which I must now start studying for!!! The learning never ends. Bis spaeter! This past week has probably been the fastest of the three that I’ve had here. I started off the week watching Germany defeat Denmark on Sunday, which was an experience, because the bar we went to was showing the Netherlands game at the same time at the Germany game. People were screaming and jumping around for hours, going crazy over both games. Of course, Germany won and the streets were full of people waving flags and leaning out the windows of their cars. Quite dangerous but I doubt they cared… It was cool to see the national pride and excitement though. I continued my studies through the week and studied for my B1 test, that was to be administered on Saturday morning… Much like the SATs, it is a multi-hour test, that takes place on the only day you have to sleep in. But obviously I stuck it out and studied, because I want to take every opportunity I can to improve my Deutsch. I went into town a lot for relaxation, shopped a little (for my family of course ) and then once Thursday came, I took the time to go to the local theater here (quite a big venue) and see Handel’s “Rinaldo,” an Italian opera (with German subtitles) about war, love and magic and it was very well performed, and the musicians were phenomenal! The main character was this huge burly man and I expected him to have this deep voice and all the sudden, it turns out he’s this crazy tenor! I was so impressed. The next day, after class, I prepared one last time for my exam that was the next day, and the a bunch of friends and I went to the Albert-Ludwig Uni’s Mensa (cafeteria), where they have a huge soccer field that, during the EuroCup, they use to have public viewings of the games for students, Goethe Institut included. Germany played Greece that night, and it was a very fun game, as there were Germany and Greece supporters (most of them not so sober, which made the cheering and such quite interesting to witness). Germany destroyed Greece though, 4-1, so, like the game the Sunday before, the streets were flooded with people. Again, it surprised me, the insanity that their pride for their team brought on. But there are a lot of things here that I’ve realized are different from the States when it comes to the people. Zum Beispiel (for example) the people here are very honest and not as superficially friendly as the Americans. If they don’t like something, they will tell you, and be upfront. Initially I was taken aback, but then I learned to like it. They also utilize sarcasm WAY more than the average American. That seems to be a general european thing though. I also realized that I am picking up the accent here, when I speak German, and I also am learning a lot of colloquialisms and how to speak in an informal way with people. It helps that a lot of the non-Americans in the institute do not speak English well, because it helps me to improve my conversational German. Anyways. The rest of the weekend was pretty quick. I took my B1 exam (which was very easy), saw a modern version of Goethe’s “Faust” (which was the weirdest two hours of my life), and took a Gondola ride on the Rhein, which was quite peaceful. This week is my last here, so I’m going to try to take advantage of everything I can! Ginger, in response to your economy question, the people here are proud of the fact that they have the wiggle room to help out the other countries, but they are pretty frustrated about Greece. They had been following the elections pretty closely and analyzing the possible consequences of the elections. Well, I have an exam to study for, so bis bald!! Today is my last day in Freiburg, as my flight leaves from Frankfurt early in the morning, on my birthday!!! This week has gone by quite quickly and I wish I could have more time here! On Tuesday, I had an Abschluss Pruefung for my B2.1 class, where we do several different sections that factor into our overall class grade. I was pretty nervous for it, but ended up doing quite well on it (2, out of a scale from 1-6, 1 being the best). I then had the opportunity to see the Freiburg Orchestra perform four pieces, which was phenomenal. Our seats were so close to the front and experiencing a professional orchestra, especially as a violinist myself, was a real treat. The had a visiting horn player, which made the performance even more engrossing. Wednesday I took the speaking part of my B1 exam, which I was nervous about, but once it was done, all I could do was hope that I did my best. Wednesday was also the last day of regular class, so we did some wrapping up and talked about going out for a class trip the next day. We ended up going to the Muenster Markt (it circles around the whole church) and asked some questions of the stand owners, bought some sweets, and hiked up to Schlossberg, a hiking trail near the Muenster, and rested to have a picnic on a lookout. It was relaxed and it was a nice way to get to know the locals and also to communicate in a less formal setting with my classmates. Once we got back to the Institut, we were then given our official class grades, and I received my results for my B1 Certificate. I got a 2 overall in my class and got a very rare 1 on my Certificate exam!!!! Needless to say, I was very excited and proud to know that my German skills had improved so much and that I was able to impress my teachers. Then came the time to say goodbye, but before that, the Institut took us to watch the Germany/Italy game, as a last hurrah. Unfortunately, Germany lost, but it was a good way to bring us all together one last time, and celebrate Germany with actual Germans, doing what they love to do. I think the soccer watches are what I will miss most when I go home, because everyone here is so excited about the games, but it’s no big deal back in the States. Hopefully that will change over time. After getting over the devastation of losing, we all packed our things and said our goodbyes. Most people left Friday morning, but some were staying until Saturday, including me and a friend, and most people stayed in a hotel right around the corner from the Guesthouse. My friend and I got a room together and took it easy, but once dinner rolled around, we thought it would be fun to go somewhere nice, in the Altstadt, for our last night. We ended up going to an winery on Augustinerplatz (a very popular place for college students on the weekends) and I got schnitzel (of course) and we just relaxed, listening to a cellist and reminiscing on our trip. It was a perfect night to end with. The next morning (today) we had a classic German breakfast in the hotel and then made our way to the train station, where I sit now, waiting for my 9 pm train. I fly out tomorrow morning at 6:40am and land in New York at 11:45am. I have mixed feelings about going home, but I will never regret taking advantage of the opportunity Notre Dame has given me to have the experiences I did. 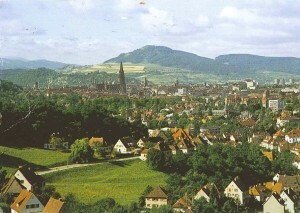 I am so happy that I could come to Freiburg, meet the people I did, and brush up on my German. I cannot wait until the next time I can come to this beautiful city, whether it is in the near future or in 30 years. I couldn’t have asked for a better time, and this has been the best month of my life, so far. It has been about two weeks since I’ve come back from Germany. My travel day back to the States (which also happened to be my birthday) ended up having a few snags, which was good for my adrenaline and my speaking skills, but bad for everything else. But I made it back to the States totally fine, and completely exhausted. Since I’ve been back in the US, the transition from Germany has been a little difficult. It’s not so easy to just walk everywhere, my whole schedule has been thrown out the window, and there’s just not as much structure as I was used to over there. It’s also weird, being with the same people for four straight weeks and then essentially coming to terms that you probably will not see most of them ever again in your life (which I hope turns out to be false in the future). But the single hardest thing for me has been transitioning back into speaking only English. Sure, I spoke it with others in Freiburg, but the German was just as easy, and sometimes, easier to use, and use it I did. For the first week back, I couldn’t help it, if I was saying a string of thought, I would slip in German words because that language information was easier to retrieve than my English. And to have that transition present made it obvious to me that I had successfully immersed myself in the culture and language in Freiburg, because my German had become so natural. From time to time, I do wish that I had the luxury to speak more German while I’m at home, before I continue my German studies at Notre Dame this fall, but I’ve been keeping up on it by myself, and it’s nice to have that break, and keep up on my academic interests. RIght now, I’d like to address my goals. My first goal I think I’ve fulfilled, as I could speak to natives by the end of my trip, and they could not realize, after a small conversation, that I was a pretty inexperienced German speaker. As to my second goal, I definitely was able to have conversation that more than skimmed the surface with other Germans. I spoke a lot to my German Professor at the Institut after class and conversationally and the conversation would go from my interests to the political situation with the new Bundspraesident and so on. I also, on my day of traveling back to the States, I had a casual thirty minute conversation with someone near my train seat and I had to work my way out of a delayed train situation. As for my third goal, my German was quite fluent throughout my trip, but I slipped up a few times, as I was a foreigner, but I was pleased with my progress, as was my teacher. Overall, I feel as though I achieved my goals and more than I expected. I have come away from this trip with much knowledge and experience that will benefit my German studies at the university and beyond. After studying the language in school for 7 years, and knowing what a month is like just being in the actual country, I can say that being completely immersed in a culture and their language not only makes you a better speaker, but it also forces you to internalize the language (i.e. actually THINK in the language). It forces you to think and speak quickly on your feet, which makes the beginning of the experience daunting, but afterwards, you feel quite accomplished, being essentially fluent. After I left Germany, I can still easily think in German and quickly respond to questions and conversations posed by my professors. Being thrust into the language was much easier, I must say, since the cultures are so similar, as they are both Western cultures. But things I didn’t really understand, I made sure to ask about them and try to participate in them as well. All that said, I would say that I met my goals for the trip, and I definitely gained much more in the way of language acquisition than I initially expected I would. I cannot explain in words how much my summer abroad experience has helped to mold who I am, as a culturally educated person and as an intellectual overall. I could never trade the month I had abroad with any other experience. Being able to integrate my educational language experience with cultural enrichment and the formation of community with those who share in interest in learning German has taught me how to step outside my comfort zone and embrace new opportunities and face them head on. I am more culturally informed and I appreciate that fact, because now I believe that there are other cultures I enjoy taking part in and can get excited about (e.g. the national pride over the soccer games). The advice I would give to someone wanting to study abroad is DO IT! You learn so much and even if you don’t like the culture, you’ll have an informed and educated view of the culture because you experienced it, rather than just speculating from second-hand accounts. From here, I am going to continue my German studies as a major, as well as attending casual speaking events and German club events. I am also looking to do research in Germany this summer, or at least find opportunities to keep up my German over breaks. I plan to apply to go to Berlin for the spring of my junior year, as I want to have as many immersion opportunities as possible, as it seems to be the best way for someone to learn a language. I personally love to travel, so I want to take advantage of that, but I also would like the language to be hardwired in me for academic purposes (e.g. for my psychological research) and my professional life as well.